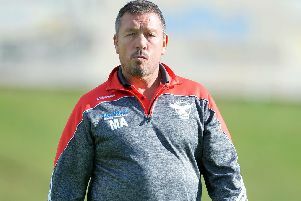 The new look Sheffield Eagles will have to show their adaptability in what coach Mark Aston has described as challenging conditions at Barrow Raiders tomorrow (3pm). The Eagles showed great fluency on their 3G pitch at the Olympic Legacy Park last Sunday, as Aston’s side racked up 64 points against Swinton. 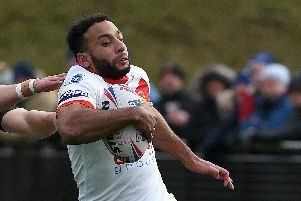 Aston though has acknowledged tomorrow’s trip to Cumbria will see his side faced with conditions completely the opposite to the favourable setup in the Steel City. “It won't be anything like what we experienced last weekend, it will be a mud bath,” Aston told The Star. “Our next challenge is here, and this will give us a good idea of where we are as a squad. Can we handle a different type of challenge? “Barrow are big, physical, and tough to beat at home. “They have a good squad, it is a different challenge for us. They will play in a different way, so can we deliver? Can we handle the conditions? If so, we give ourselves a good chance. Aston will pick from the same squad that demolished Swinton, with Rory Dixon (knee) and Joslin Landu (foot) his only absentees. The Eagles were beaten twice at Craven Park last season, but Aston’s side enjoyed success against the Raiders on home soil and at the Summer Bash. Like the Eagles, Barrow have strengthened significantly during the close season, adding former Eagles loanee Jake Spedding amongst others. They also made a winning start to the new campaign after a narrow success away at Batley. “They have brought in quite a high number of high profile signings,” Aston acknowledged. “They have signed people like Jordan Walne and Josh Johnson, two Super League players, plus the three PNG lads. They also have Jake Spedding who we know well here. “They are serious, there has been some real investment in the squad. They have Gareth Hock as well, but he is injured at the moment. They certainly have a strong unit.